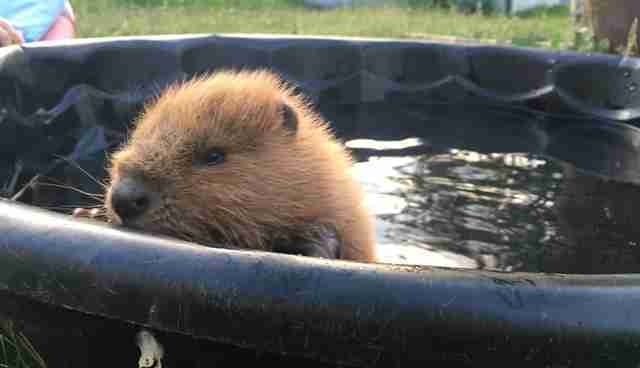 A beaver kit currently being cared for by the Alberta Institute for Wildlife Conservation (AIWC) doesn't know that a video of him taking a bath has been shared over 8,000 times. What he does know is that one day he got separated from his parents somehow and sustained an injury to his distinctive little tail. He was found all alone on a golf course in Canada. On June 27, he was admitted to the AIWC for help. "The kit continues to do well in care and is putting weight on daily," Holly Duvall, executive director of the AIWC, told The Dodo. Even though the kit is, let's face it, irresistibly adorable, rescuers are taking steps to make sure he doesn't become habituated to humans. "He is a wild animal and not a pet," Duvall said. "We are planning on his eventual release back to the wild." But that release is still a while from now - probably two or three years. 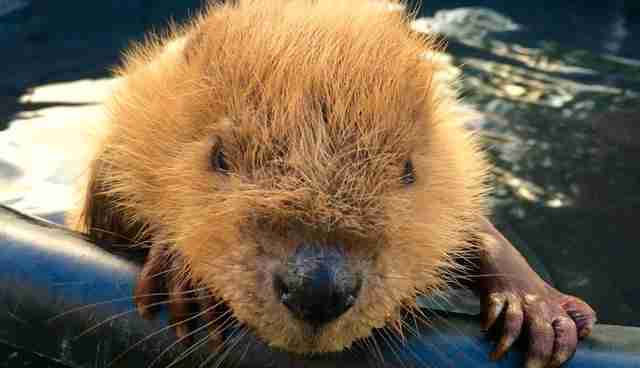 "Two to three years is the normal age beavers leave their parents," Duvall explained. "It is in years two and three that the kits start to learn how to be 'engineers' and work on building lodges and dams." 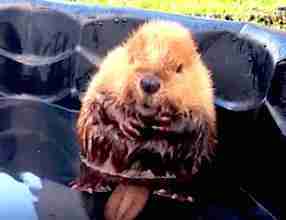 But for now, this tiny beaver - who has already captured the hearts of thousands - just needs to sleep, eat and play. Click here to learn how you can help AIWC rescue animals like this spectacular little guy.